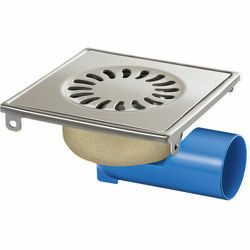 VDB Shower Drains > Shower Drain 146x146mm (Brushed Stainless Steel). Van Den Berg shower drain in brushed stainless steel. Brushed stainless steel grating and frame. 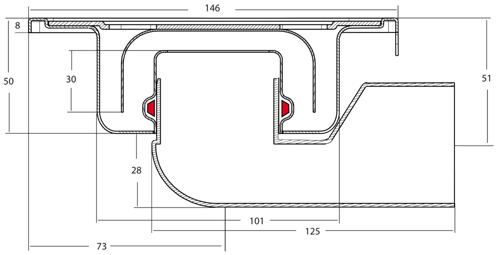 360° Rotatable and glueable connection. Stainless steel stench trap attached to grating.